Russian airlines saw their cumulative passenger traffic grow 24.1% in April compared to the same month in 2016. The country’s carriers served 7.393 million passenger, Federal Air Transport Agency (FATA) reports. April has been the most dynamic month for the Russian airline industry so far this year, outpacing the January record of 20.2%. All of Russia’s top five carriers demonstrated growth, albeit at on different scale. 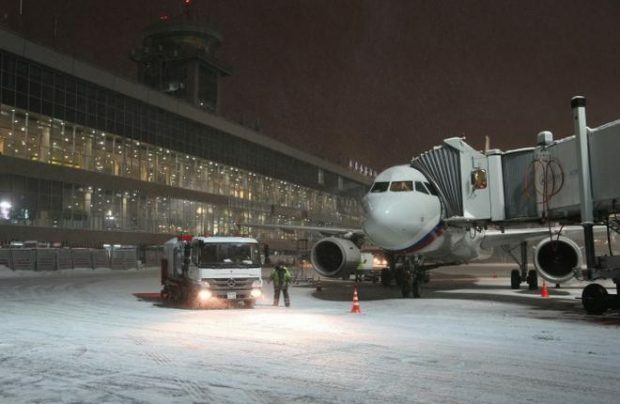 Aeroflot’s traffic was up 15.3% to 2.62 million passengers, whereas Rossiya Airlines saw its passenger numbers surge 54.7% to 774,000 passengers. The figures for S7 Airlines were up 5.4% (701,000); for UTair Aviation, 21% (547,600); for Ural Airlines, 25.9% (535,700). The traffic growth was contributed by a load factor increase of 3 percentage points to 81.2%. Revenue load increased even greater, by 3.4 p.p. to 69.9%. The revenue passenger kilometres flown in April were 26.9% up year-on-year at 18.229 billion. Since the beginning of the year, the Russian airlines’ overall traffic has grown 20.6%. A total of 27.094 passengers were carried in January-April. The cumulative revenue passenger kilometres grew by 24.6% to 68.107 billion; the load factor increased 2.8 percentage points to 79.3%; revenue load climbed 3.5 percentage points to 67.5%. FATA’s data on cargo traffic indicates that Russian airlines transported 93,000 tons of freight in April, up 17.4% year-on-year. A total of 631.611 million revenue ton kilometres were flown during that month, up 18.1% year-on-year. In the first four months of 2017, the country’s airlines carried 344,300 tons of freight and mail, up 22.6% from the same period last year. Cargo turnover was up 23% to 2.359 billion ton kilometers.